to get you ready on-time, and have you looking flawless! All bookings require a deposit to secure your date & time, and we accept debit or credit cards or cashier's checks. 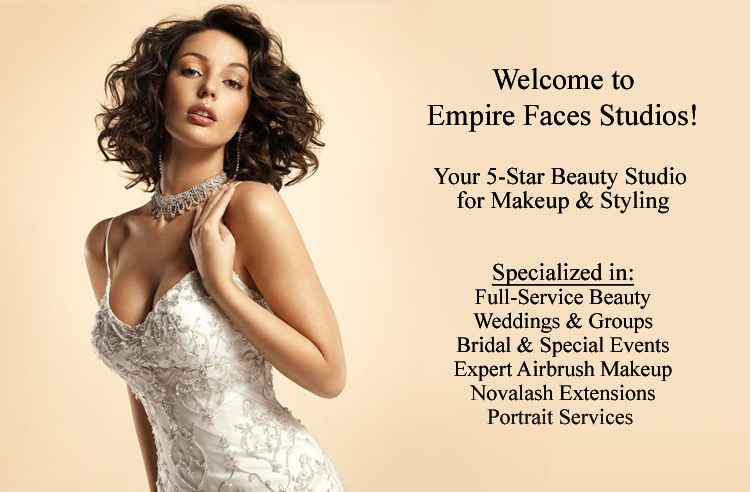 For monthly package specials, call Empire Faces today!